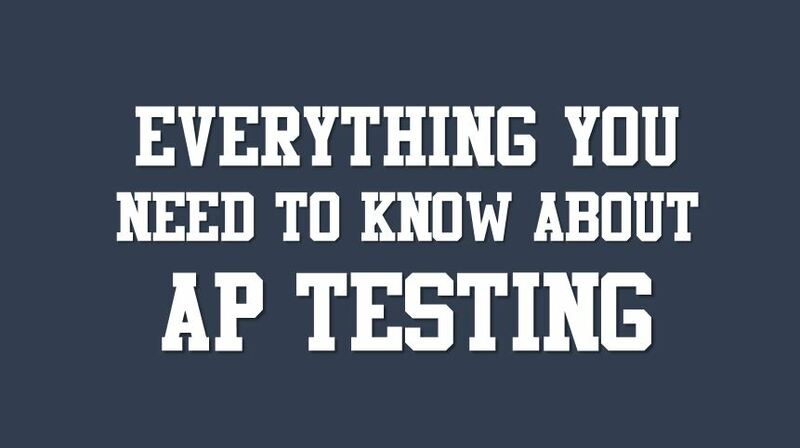 Find the full schedule, locations, necessary preparations and other tips for the 2016 AP Tests at Timber Creek High School in this article. First thing’s first: CHECK THE TESTING SCHEDULE ABOVE. 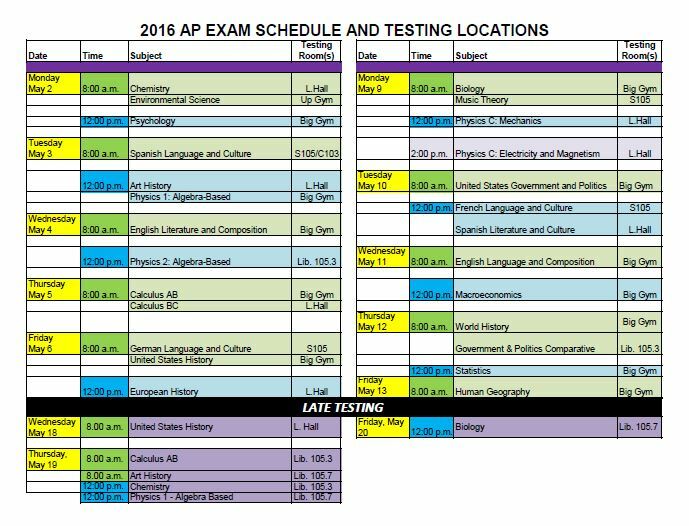 Many of the locations for AP tests have changed and the pink sheet that was handed out during bubbling sessions is no longer accurate. If you show up late to a test because you went to the wrong place, the proctors will NOT let you in. That is not a joke, and absolutely no one will bend the rules for you. Check the schedule even if you’re 100 percent sure your room hasn’t changed! Show up to the exam at least 30 minutes early, and come prepared. You need some sort of picture ID to get into the exam, whether it be a driver’s license or a school ID. You will not be admitted without one. Make sure you’ve packed all the necessary materials for the test your taking. Number two pencils, erasers and black or blue pens are required for all exams, but there are additional materials, like calculators, that you will be allowed if you are taking a math or science exam. It is also recommended that you bring a watch for pacing, in case there is not a timer set up in your testing center, and a jacket in case you get cold. Any electronics you bring to school will be taken up before testing begins, so only bring things that are necessary or that you don’t mind handing over to a proctor. It’s really important to eat a good meal when you get up, even if you normally skip out on breakfast. Your brain will function better when you have good food – especially food with protein, like eggs, or toast with peanut butter – in your system. Also, drink water and bring a water bottle to the test to drink during your break. You can’t have food or a drink at your seat during the test, but staying hydrated is important. Being dehydrated can cause headaches, and it can plain just be hard to concentrate if all you can think about is how your tongue is dry. Got more questions? #AskTalon on Twitter and we’ll try to get some answers for you. Maddie Anderson is a student reporter and photo editor for the Timber Creek Talon. She is also a member of the Timber Creek Band and plays the flute/piccolo. So You Missed a Day of School — Now What?